Doctor of Humanities, graduated from the Faculty of International Studies and Political Science at the University of Łodź. Lecturer at the University of John Paul II in Cracow. Doctor of Humanities (Political Science). Graduated from the Faculty of International Studies and Political Science at the University of Łodź. Currently lecturer of Political Doctrines and Law at the Pontifical University of John Paul II in Cracow. Head the department of Russia & Commonwealth of Independent States of “Stosunki Międzynarodowe” magazine. 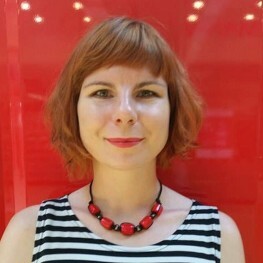 She received a stipendent from the Bureau for Academic Recognition and International Exchange (BUWiWM) at the Irkutsk State Linguistic University in 2009, former intern at the Polish consulate in Irkutsk, the Russian Federation.